Founded in the late 1990s by a team of auto dealers, DealersLink is a high-tech company that provides automotive systems integration and networking technology. The company established the first dealer-to-dealer marketplace in the United States, and in fact coined the term “dealer-to-dealer.” DealersLink has been eliminating auction and transaction fees for more than 10 years, with over $1 billion in used inventory available 24/7. In early 2017 DealersLink enlisted S&A to raise its profile in the used-car industry through strategic communications and public relations. In just a short time, we’ve helped generate content and media coverage that directly led to sales inquiries and downloads of a free e-book offered by DealersLink (capturing prospect contact info in the process). Guest articles have appeared in media outlets such as Auto Remarketing and digitaldealer.com, helping to establish thought leadership. The S&A Communications team has helped us create valuable and insightful blog and guest articles as well as a PR agenda that aligns with our business goals. 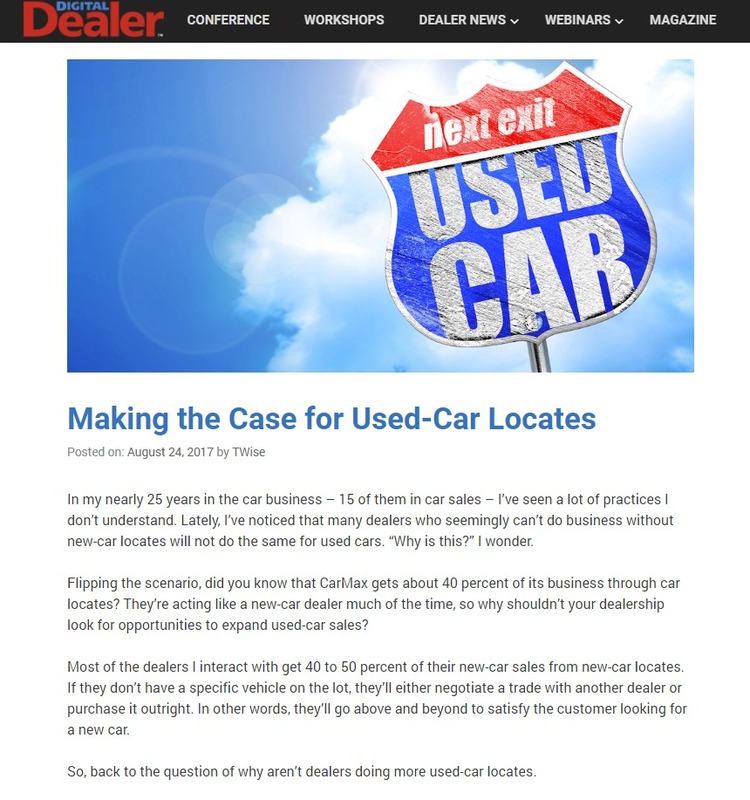 This valuable content has helped establish DealersLink as a credible voice in the dealership software industry.